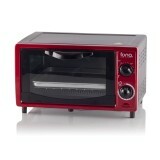 Features 9 litres / 700W 15-min timer with auto-shut off & signal bell 90 – 2300C adjustable temperature Removable crumb tray Quartz heating element ..
IONA GL1801 CONVECTION & ROTISSERIE OVEN Iona’s 18L Electric Oven is perfect for baking cupcakes or anything that will tease your taste buds. It features a revolutionary rear 360°convection system that saves energy with its forward heating cycle ..
IONA GL2801 CONVECTION & ROTISSERIE OVEN Iona’s 28L Electric Oven is perfect for baking cupcakes or anything that will tease your taste buds. 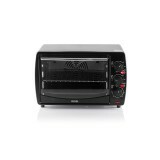 It features a revolutionary rear 360°convection system that saves energy with its forwar..
Iona GL103 Oven Toaster(10L) Simple design which will look great in any kitchen. 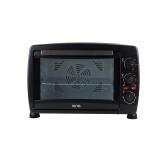 Featuring temperature controls, 30 minutes cooking timer and adjustable and removable wire rack. The wide glass window allows you to easily monitor cooking progress. 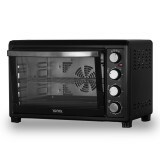 Features: Temperat..
Iona GL4802 Convection & Rotisserie Oven(48L) Iona’s 48L Electric Oven is perfect for baking cupcakes or anything that will tease your taste buds. 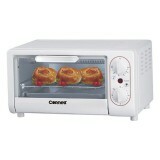 It features a revolutionary rear 360°convection system that saves energy with its forward heating cycle and reduces .. 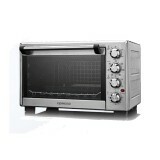 The healthy electric oven from Kenwood. 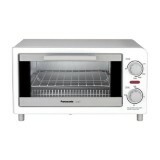 ..
Toast, warm & bake function Heats up quuickly with a 15 mins built- in timer that will turn the heat off to prevent overcooking Compact sized ..